Ultherapy is a non-invasive procedure that lifts and tightens skin. In the video below, Dr. Joel Schlessinger explains how this treatment uses ultrasound to improve the appearance of wrinkles on the face and neck. When using Ultherapy, there is no need for injections as it is a non-invasive procedure that has little or no downtime! It is a very short and simple process with minimal pain or discomfort. Watch this video to learn more about the procedure from Dr. Joel Schlessinger and see real results experienced by his patients. Learn more about Ultherapy or schedule a consultation with Dr. Joel Schlessinger and Skin Specialists PC today. Is there a link between Halloween and eczema? Dr. Joel Schlessinger shares his thoughts on the issue. While long nights of trick-or-treating may make children happy, it could do other things to their skin. Cold temperatures, excessive sugar and lots of walking can leave skin raw, itchy and covered in a rash. Dr. Joel Schlessinger shares his expert opinion on the link between Halloween traditions and the common skin condition known as eczema. Eczema is a long-term skin condition that causes itchy rashes and scaly skin. It can include blisters, dry patches and bumpy skin. Eczema is very common in young children and it is often outgrown by adulthood. Although there hasn’t been a significant link between candy and eczema flare-ups, Dr. Joel Schlessinger says it is best to avoid something that seems to worsen your eczema. While candy may not be a factor to eczema, exposure to cold temperatures and dry air are clear contributors to this itchy condition. To avoid and soothe flare-ups, Dr. Joel Schlessinger recommends covering up bare skin and moisturizing whenever possible. “The new FixMySkin 1% Hydrocortisone balms are the perfect product to keep in your purse or pocket if your child’s eczema or dry skin is troublesome,” said the doctor. What tips and tricks do you use to treat eczema in your children? Share with us in the comments. Regular exfoliation is an important step in keeping your skin looking and feeling healthy. Body scrubs remove dead, dulling cells while hydrating the skin, leaving your body feeling soft and smooth. These treatments have become increasingly popular in spas across the country, often paired with a relaxing massage. But if you’re just looking for a tranquil day at home, there are plenty of excellent exfoliating body products on the market for you to choose from. Joel Schlessinger MD’s recent presentation on body scrubs highlights recommendations for several of his top picks. These exfoliating products will help rejuvenate your dry, dull skin for a fresh appearance. For personalized care, you should make an appointment to see your local dermatologist. What are some of your favorite exfoliating body products? Tell us in the comments. Roughly 40% of women suffer from leg veins, but very few know they can be treated. Leg veins are extremely common for women who are constantly on their feet or working in service professions. During this video, Joel Schlessinger MD shares the difference between varicose and spider veins as well as how they can be treated. You also get to follow Lorene, a woman battling this skin concern since high school. Watch this educational video below to learn more about treating leg veins. If you’re interested in leg vein treatment, set up a consultation with Dr. Joel Schlessinger and Skin Specialists PC today. With Halloween just around the corner, everyone’s on the lookout for zombies, werewolves and goblins. But one of the most common supernatural beings in this day and age is the elusive vampire. 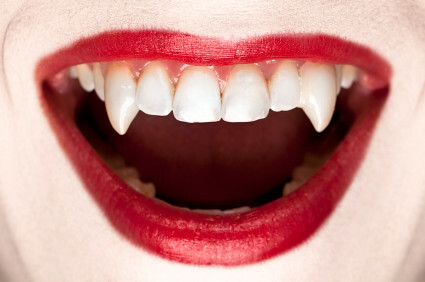 Joel Schlessinger MD explains the legend of vampires and how they are related to dermatology. “There is a condition called porphyria that occurs very rarely and, in one even rarer form of it, teeth can turn red (like blood on a tooth! ),” said Joel Schlessinger. The doctor says porphyria is a genetic disorder that can cause abdominal pain, blisters, scarring and muscle problems. It is caused when hemoglobin is not made properly, leading to a deficiency of enzymes and necessary chemicals for body function. Joel Schlessinger MD says that many legends have a medical basis and this is one of them. What legends are you aware of that have a medical basis? Tell us in the comments. Stretch marks occur when the skin is pulled by stretching or quick growth. Starting out, these marks can appear pink, reddish brown, or dark brown, then fade to a silvery color over time. Stretch marks are often associated with pregnancy, but can also be a concern for anyone experiencing a growth spurt or weight gain. Fortunately, there are numerous products available to help treat and prevent these marks. Joel Schlessinger MD’s recent presentation on frequently asked questions about stretch marks highlights several recommendations for products proven to help minimize the appearance of unwanted stretch marks. For specific treatment options, you should make an appointment to see your local dermatologist. What do you use to treat and prevent stretch marks? Share with us in the comments. While acne is one of the most common concerns treated by dermatologists each year, there is a lot patients don’t know about this condition. There are several types of acne, which all have different causes, appearances and ways to be treated. In this video, Dr. Joel Schlessinger highlights some of the most common types such as small yeast-related bumps, bacterial infections caused by everyday objects and staph infections resembling acne. Dr. Joel Schlessinger also shares his go-to treatment for tough complexions. The LovelySkin Acne Care Starter Set for Normal Skin contains a facial wash, toner, oil-free moisturizer and treatment gel to fight breakouts and keep them at bay. Watch this video to learn more about different types of acne and how to care for your complexion. For additional advice, set up a consultation with Dr. Joel Schlessinger and Skin Specialists PC today. As we age, our skin becomes drier, thinner and less elastic. Wrinkles begin to appear as a result of facial expressions, sun damage, smoking, dehydration and genetics. These creases, folds and ridges are a common concern for many, but luckily, there are several procedures and treatment products available for those who want to maintain a youthful appearance. Joel Schlessinger MD’s recent presentation on frequently asked questions about wrinkle treatments discusses wrinkle relaxer and filler options to help minimize these visible signs of aging. He also highlights a few recommendations for products proven to help you achieve a youthful complexion. For specific treatment options, you should make an appointment to see your local dermatologist. What do you use to fight fine lines and wrinkles? Share with us in the comments.